Early spring can be touch and go with temperature changes, especially in the evening. Be ready to take cover if freezing temperatures are in the forecast. If you garden in an area where late spring frosts and freezes are a possibility, be prepared to cover up plants that have tender emerging buds or foliage if freezing temps are in the forecast. If the buds haven’t begun to open yet, there’s no need to cover them. Don’t stress if your lawn looks tired, brown, and a bit under the weather after the long winter season. We are here to help. Zaino’s offers the best lawn care program, The New American Lawn by Jonathon Green. The Four-Step approach to lawn care is cutting-edge because it not only feeds the lawn, like every program on the market today, but, unlike all others, FEEDS THE SOIL! For a healthy lawn all season long the soil needs to be free of compaction, possess healthy microbial populations, and have the correct pH so that roots can penetrate the soil to take up the food and water needed to be healthy and disease free. As the days lengthen, the warmth of the sun beckons in the spring season. Anxiously, our thoughts turn toward gardening and our outdoor living spaces. However, before beginning to beautify the setting with an array of new plantings, spending a little extra time revitalizing what presently exists can achieve a beautiful garden setting by the time the season reaches its peak. Follow these easy steps to ready your garden to receive this season’s newest blooms! Spring clean-up – It’s time to clean your garden and remove all the debris (leaves, leftover snow, etc.) Get rid of unwanted weeds, making sure that you get all the roots so they won’t grow back. Revitalize the soil – The ground has likely dried over winter and needs a boost of moisture and organic material like compost and manure that it deserves. 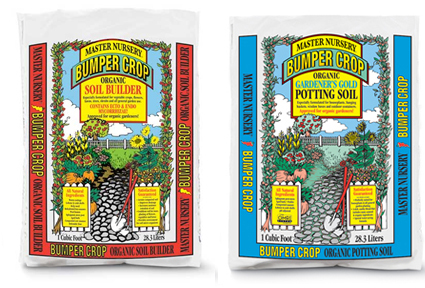 For your garden, we recommend Master Nursery Bumper Crop. Bumper Crop can be mixed with your native soil as a nutrient-rich amendment to grow vegetables and flowers, or it can be used as an organic mulch to help to retain moisture in the soil, making it available to plants. For your indoor and outdoor containers, we recommend Bumper Crop Gardener’s Gold Organic Potting Soil, a rich all-natural blend of the finest ingredients. 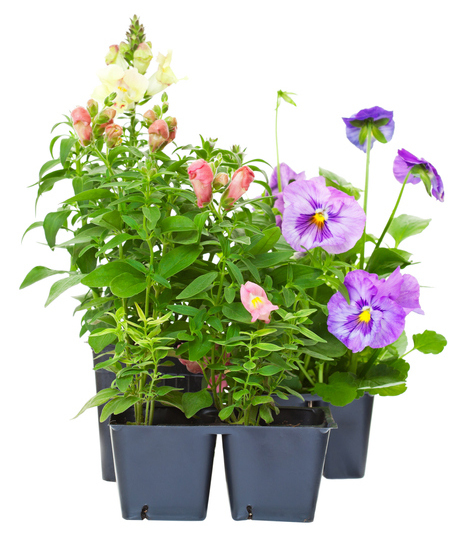 It is abundant in long-lasting plant nutrients and is excellent for all indoor and outdoor container plants. Plants that survived the winter need TLC – A good starting point for pruning any plant is to remove dead, diseased, or damaged stems as soon as you see them. Dead stems attract insects and invite diseases to develop. Also remove crossing branches, water sprouts (vigorous upright growing shoots that form on trunks or side branches), and suckers (vigorous shoots that grow near or from below ground). Benefits of mulch – Adding mulch helps to prevent weeds and keeps the moisture in the garden while maintaining the temperature in the soil. The rule of thumb is to mulch two to three inches deep and keep the mulch a few inches away from plant stems to prevent roots from rotting. What to plant? Early spring, when frost may still be an issue, pansies and snapdragons are a sure bet to usher in a festive array of color and texture in your garden and containers.